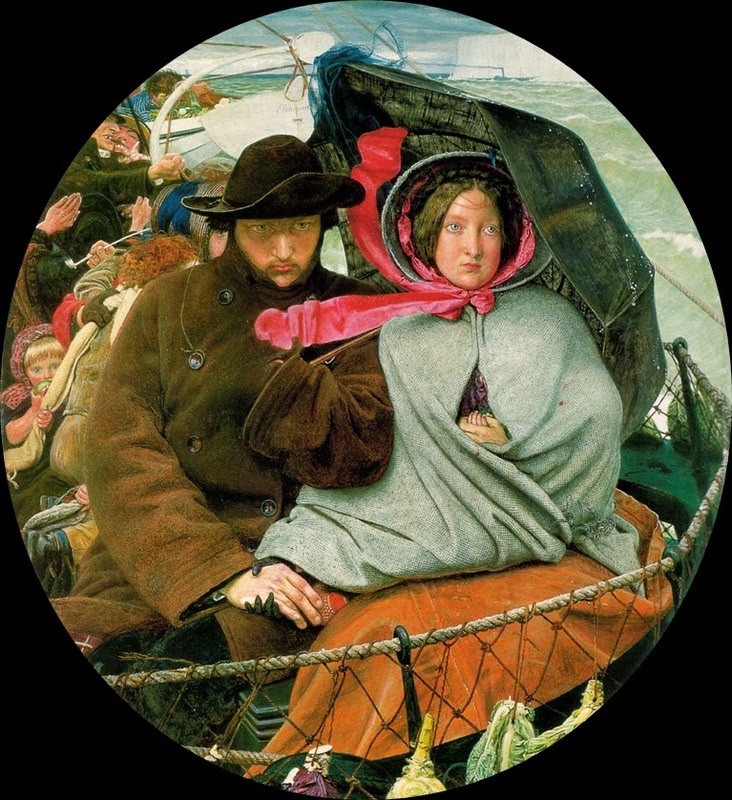 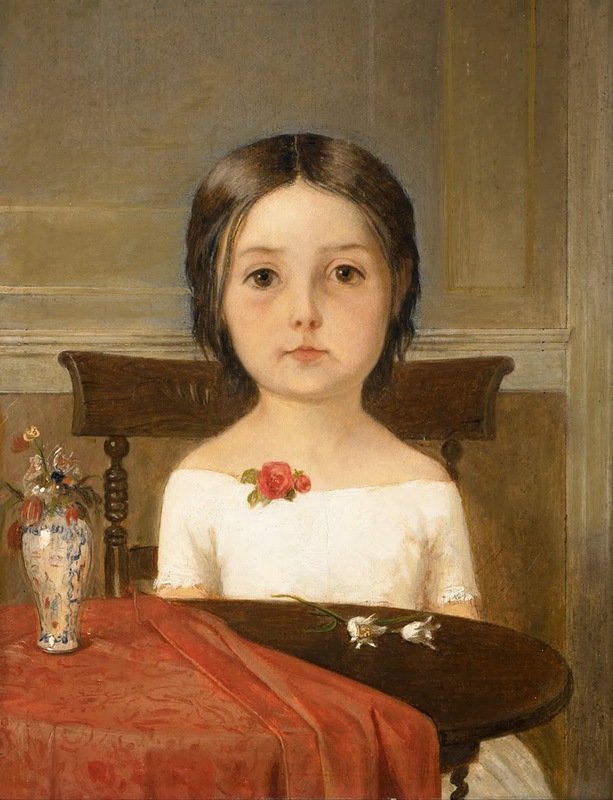 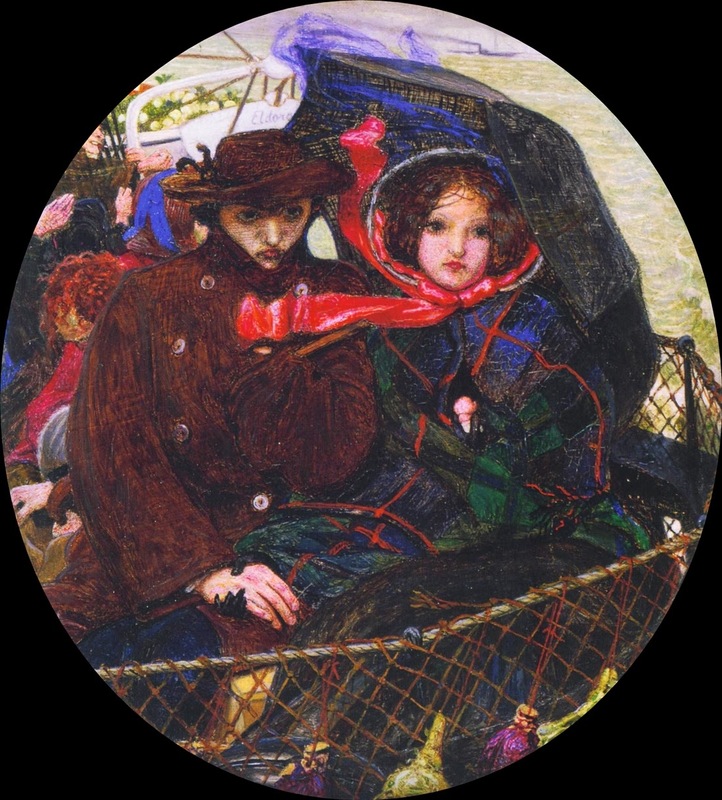 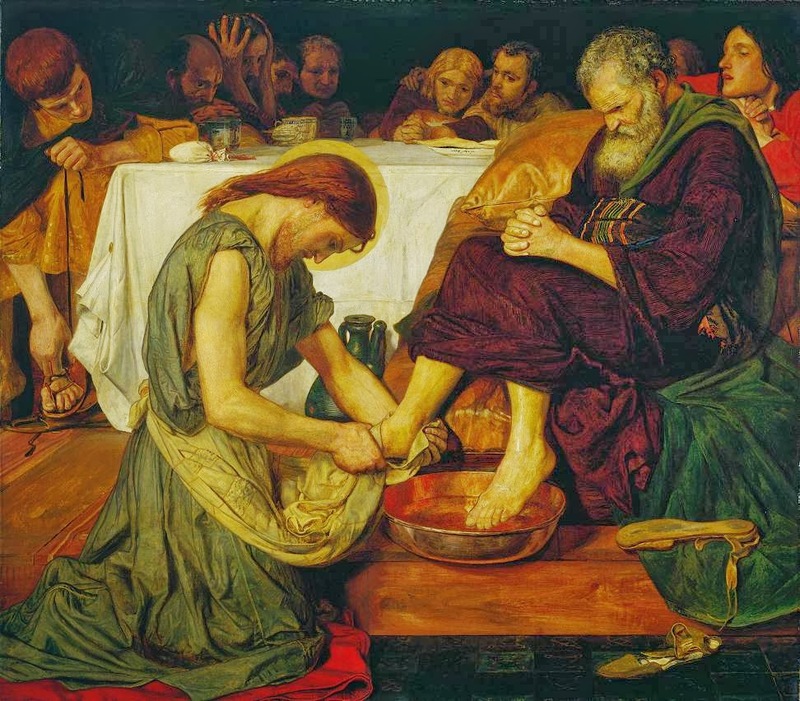 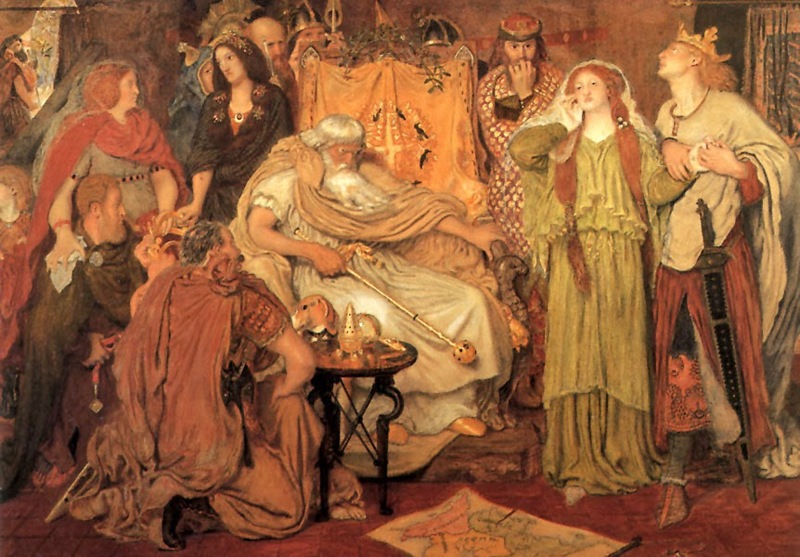 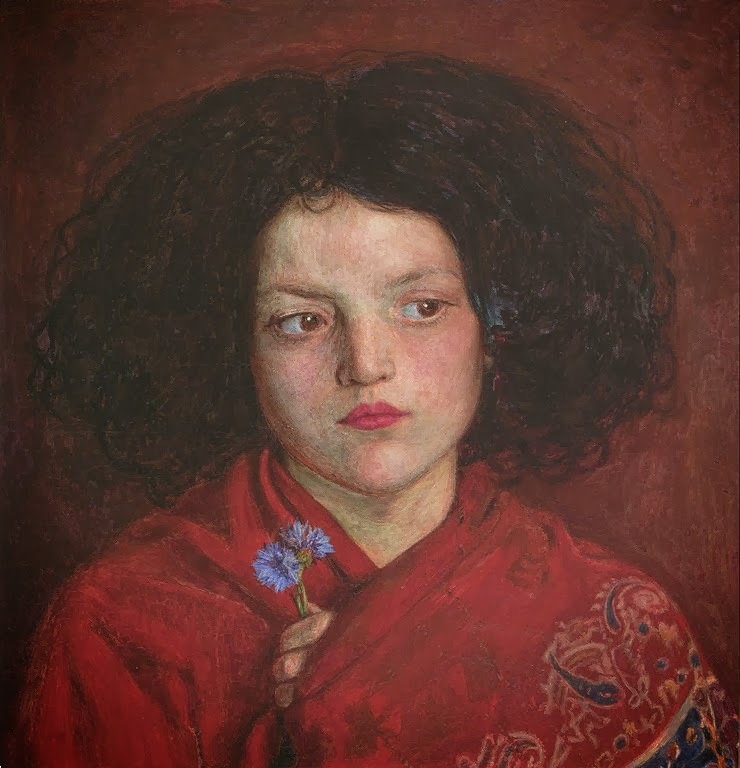 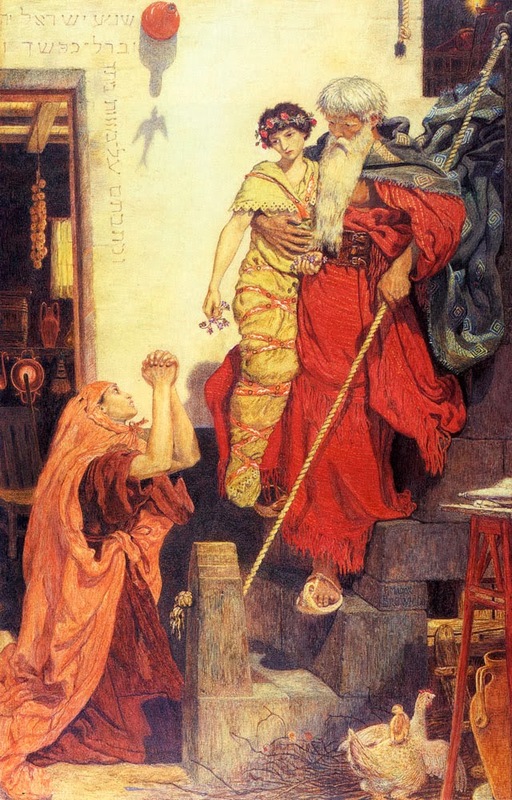 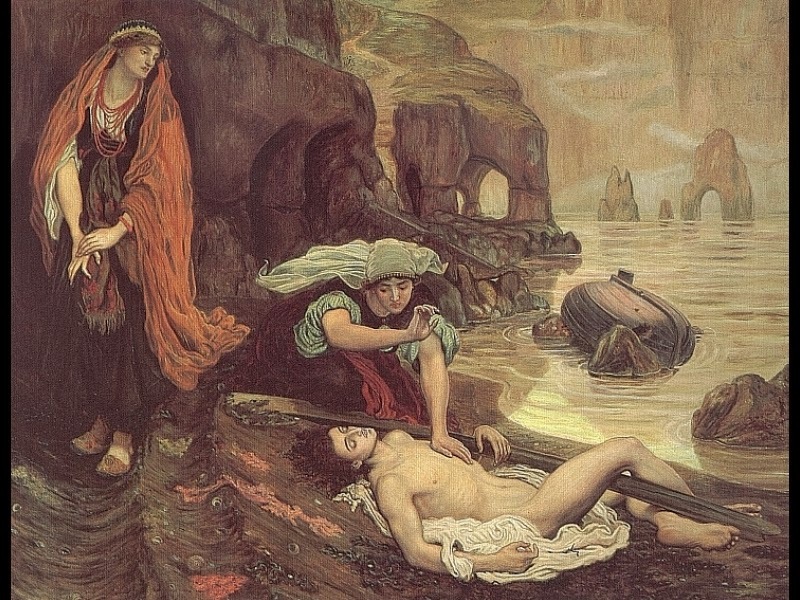 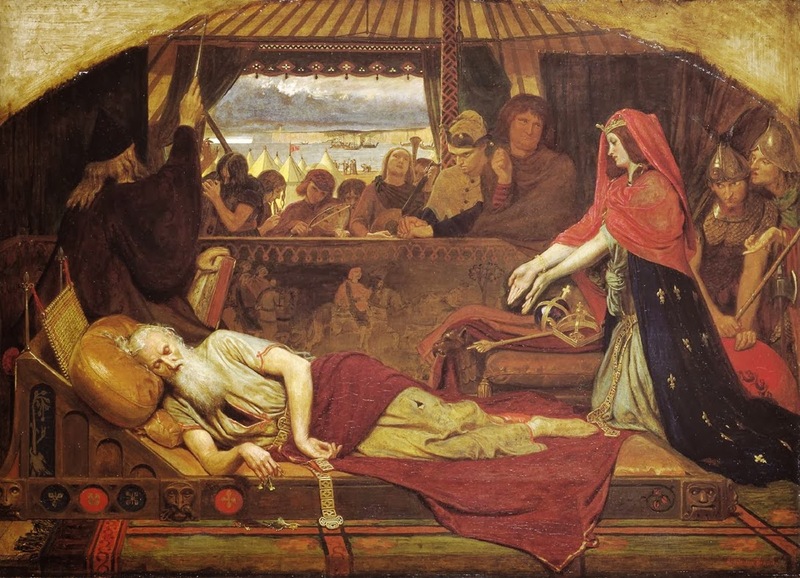 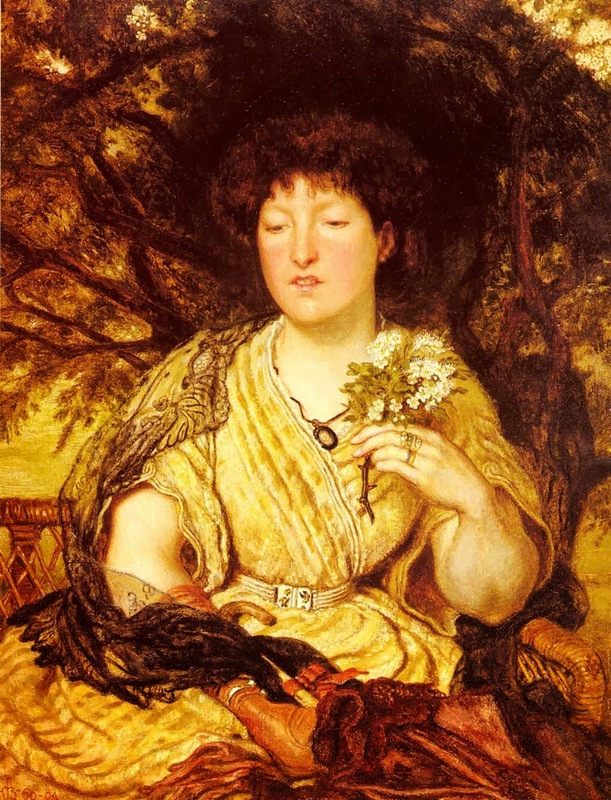 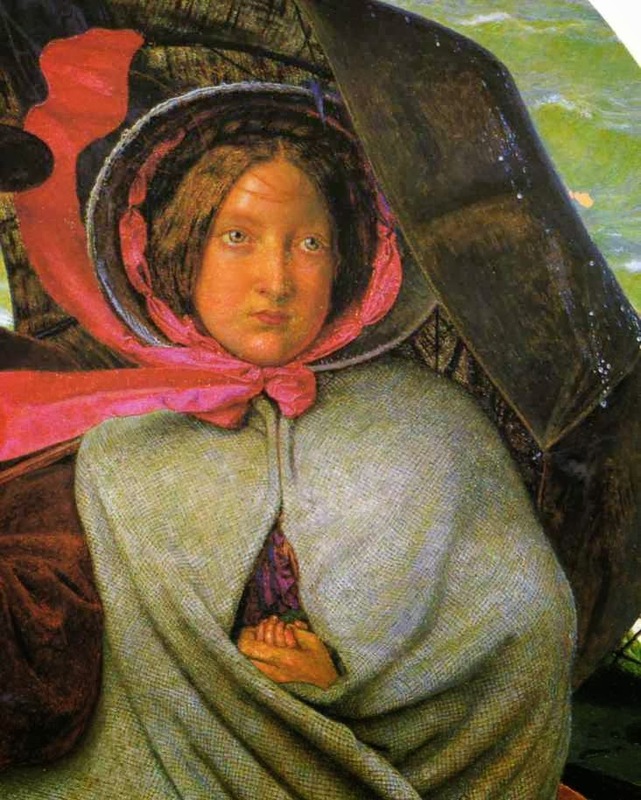 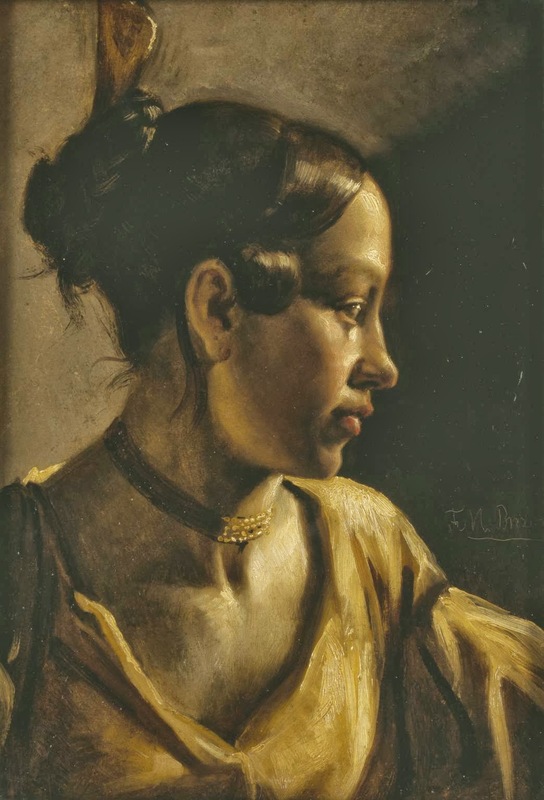 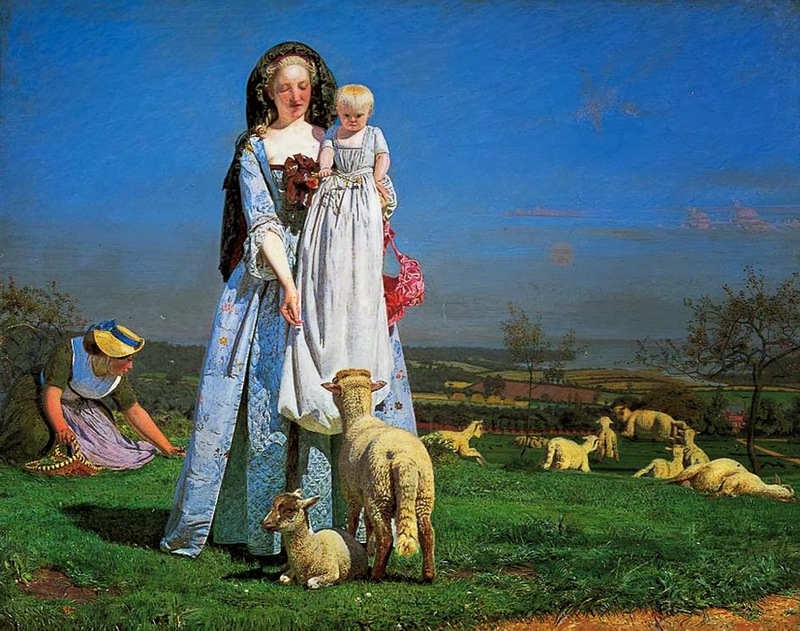 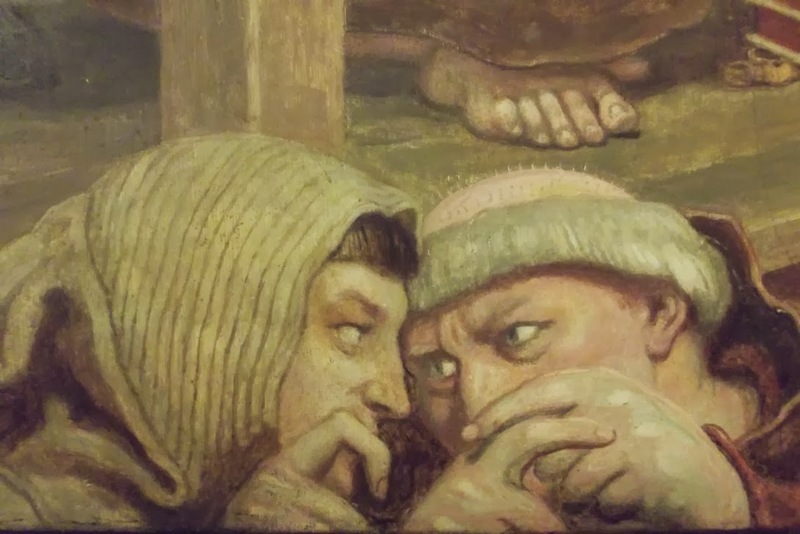 British painter Ford Madox Brown [1821-1893] was born at Calais and trained at Antwerp, in Paris and at Rome, where he came into contact with the Nazarenes. 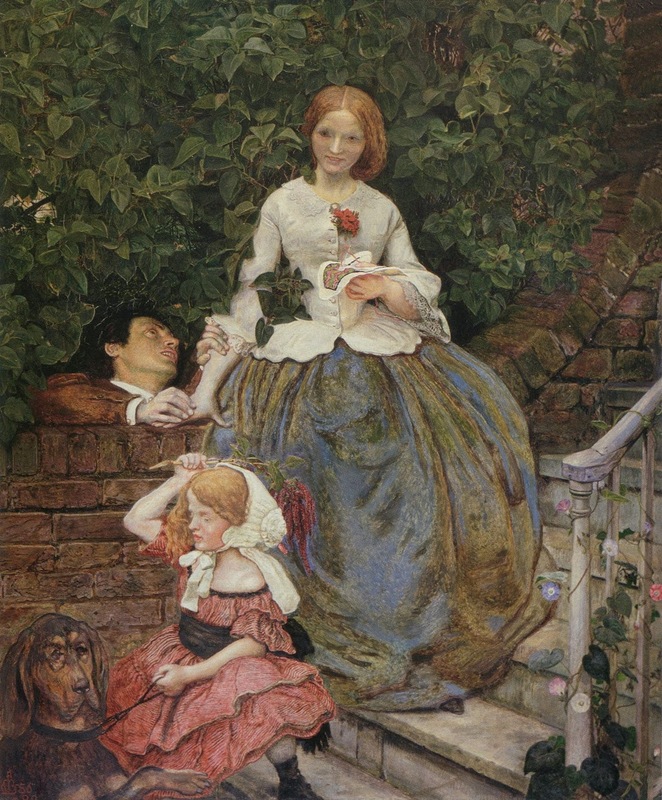 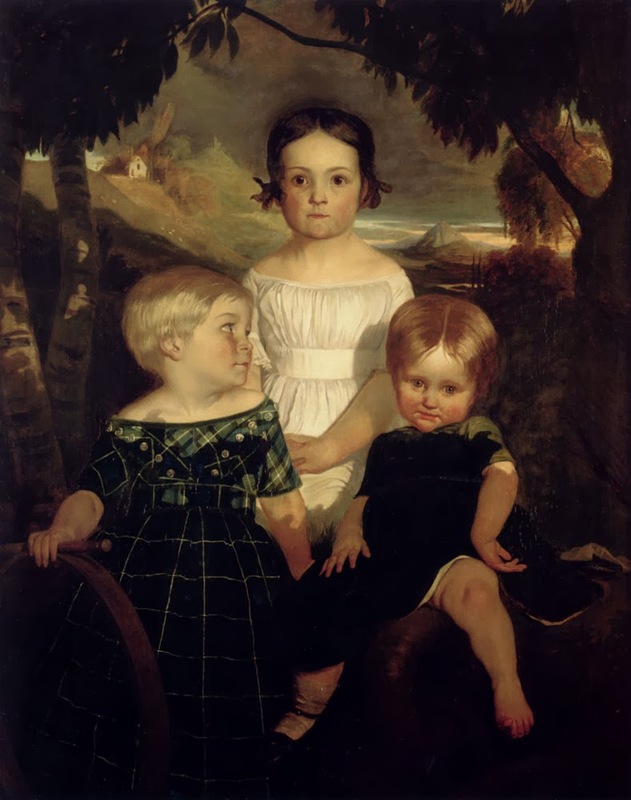 Settling in England in 1846, he became a friend of the Pre-Raphaelites and, with his taste for literary subjects and meticulous handling, an influence on their work, though he was never a member of the Brotherhood. 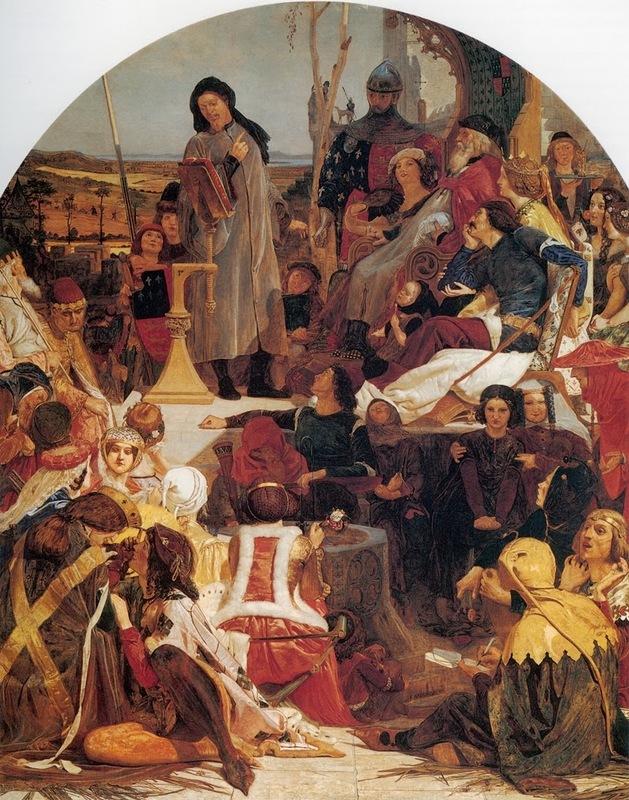 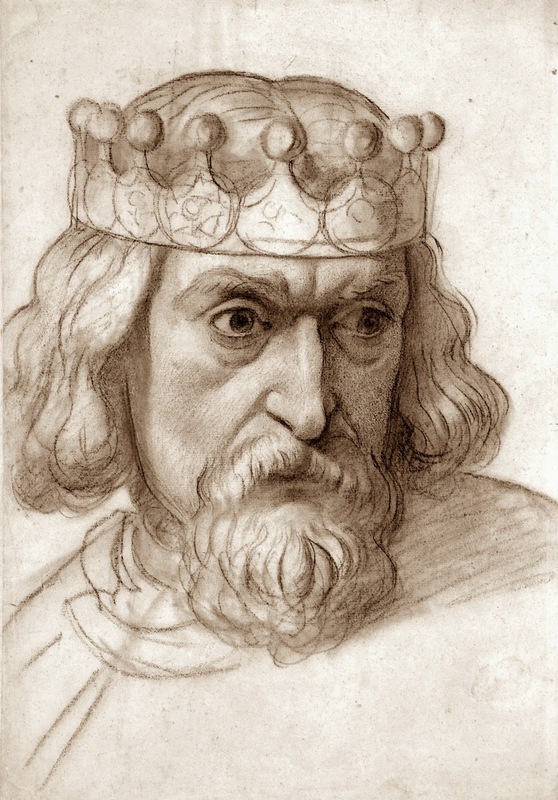 Rossetti studied briefly with him in 1848 and Brown's Chaucer at the Court of Edward III (Art Gallery of New South Wales, Sydney, 1851) contains portraits of several of the Brotherhood. 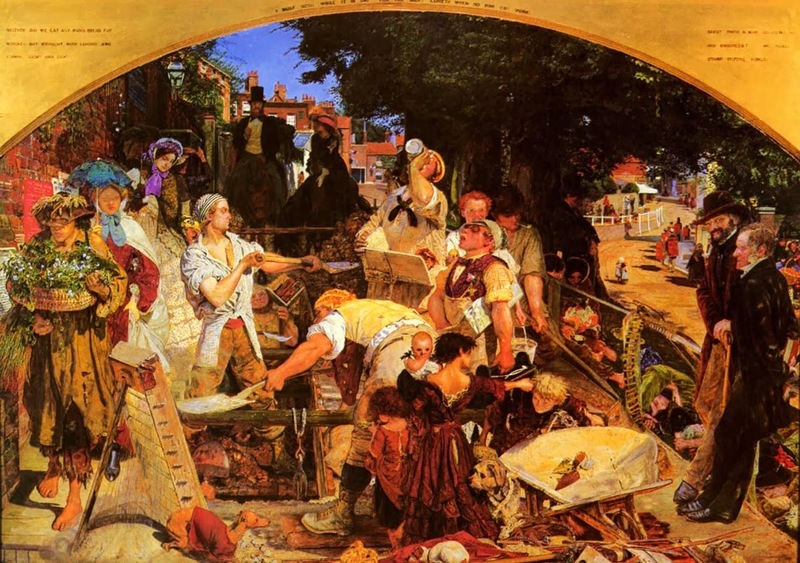 In 1843, Brown submitted work to the Westminster Cartoon Competition, for compositions to decorate the new Palace of Westminster. 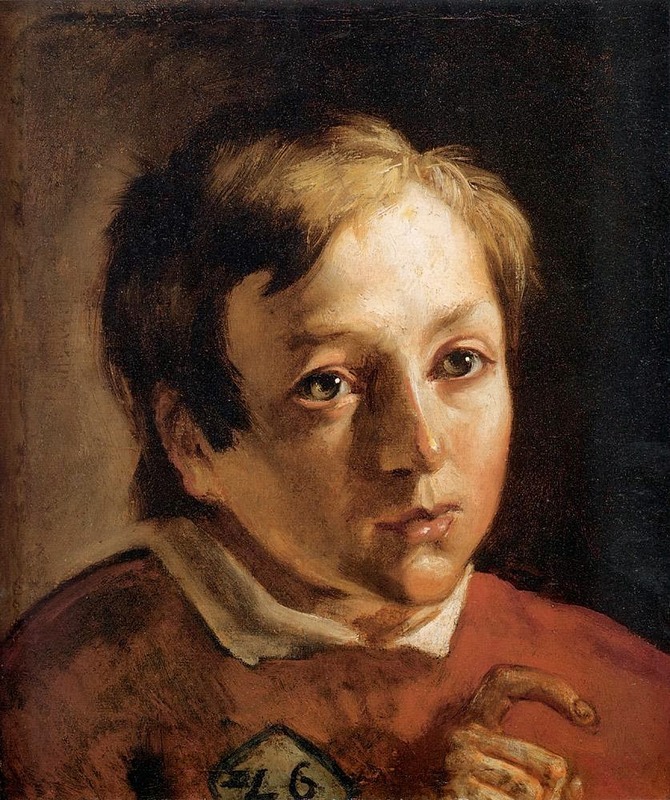 He was not successful. 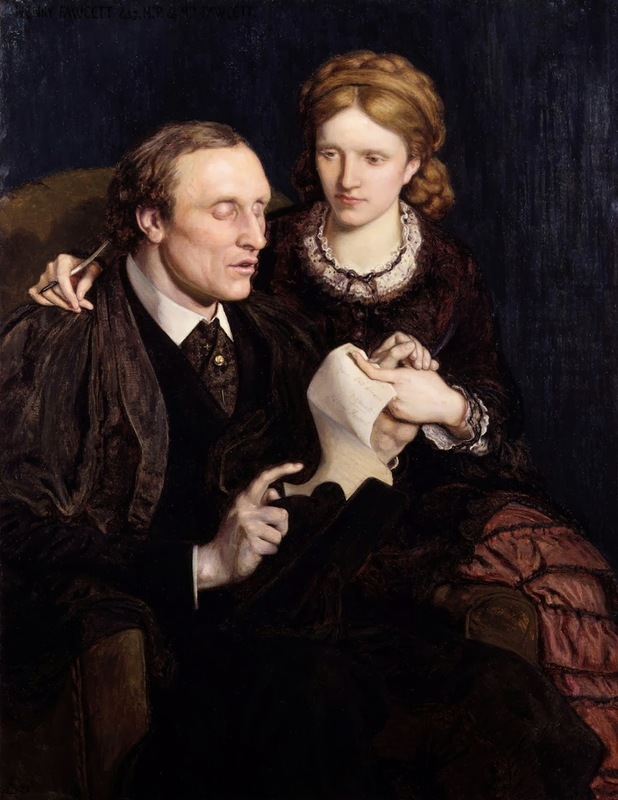 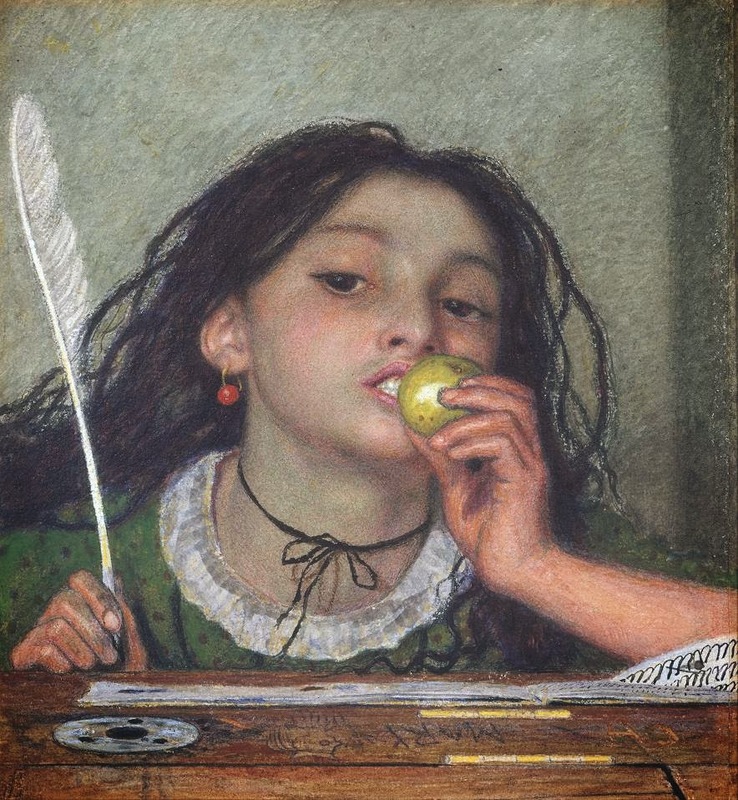 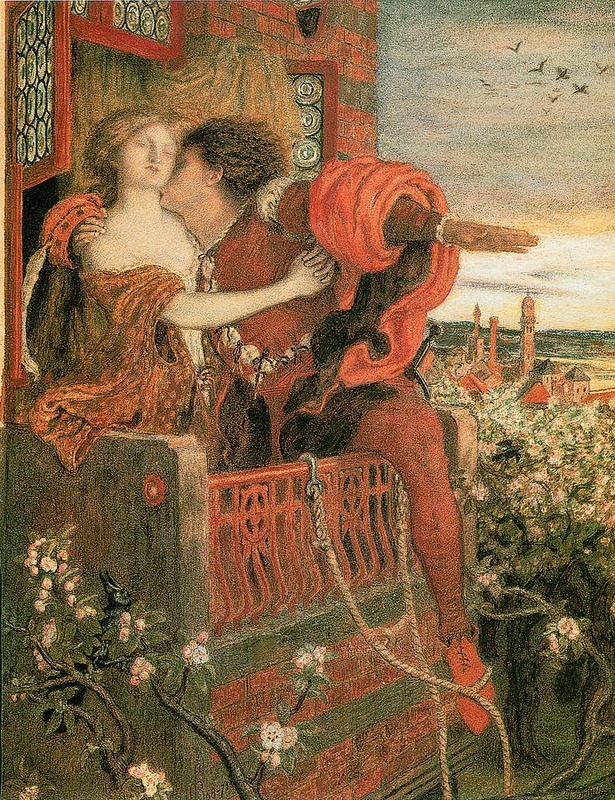 His early works were, however, greatly admired by the young Dante Gabriel Rossetti, who asked him to become his tutor. 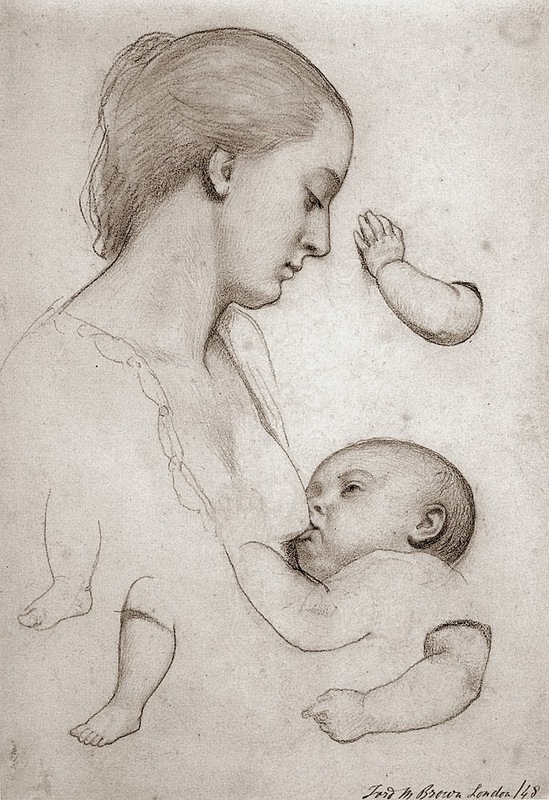 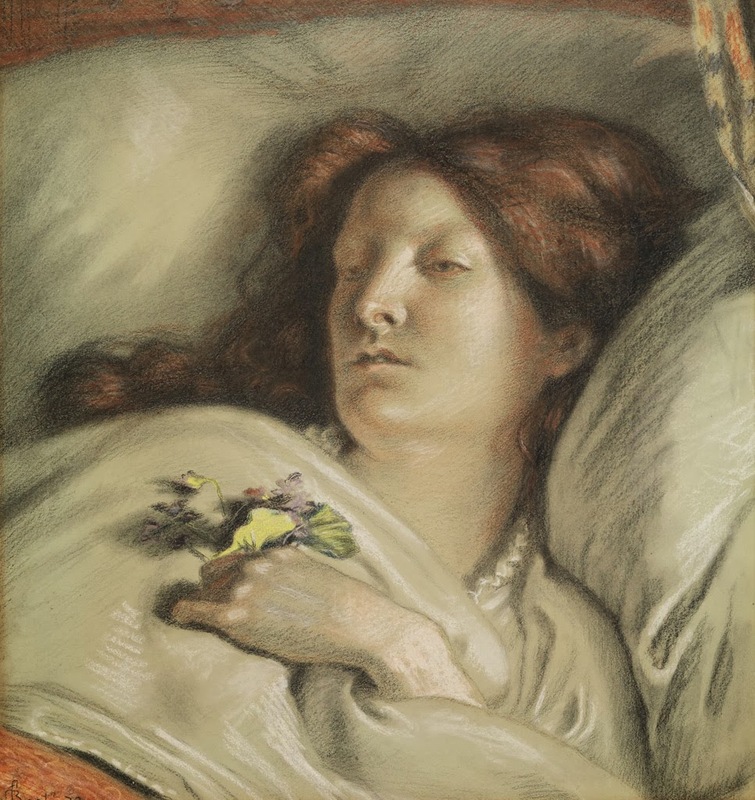 Through Rossetti, Brown came into contact with the artists who went on to form the Pre-Raphaelite Brotherhood (PRB). 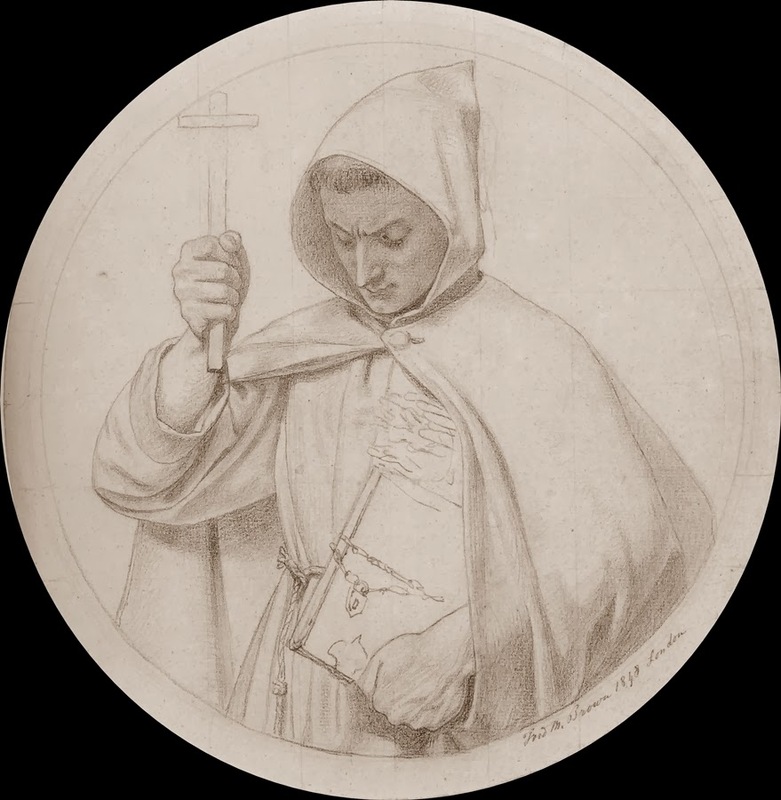 Though closely linked to them, he was never actually a member of the brotherhood itself. 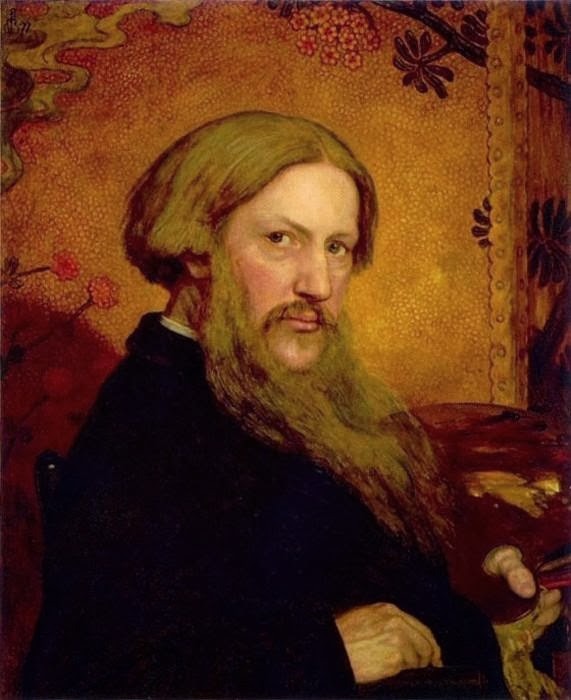 Nevertheless, he remained close to Rossetti, with whom he also joined William Morris's design company, Morris, Marshall, Faulkner & Co., in 1861. 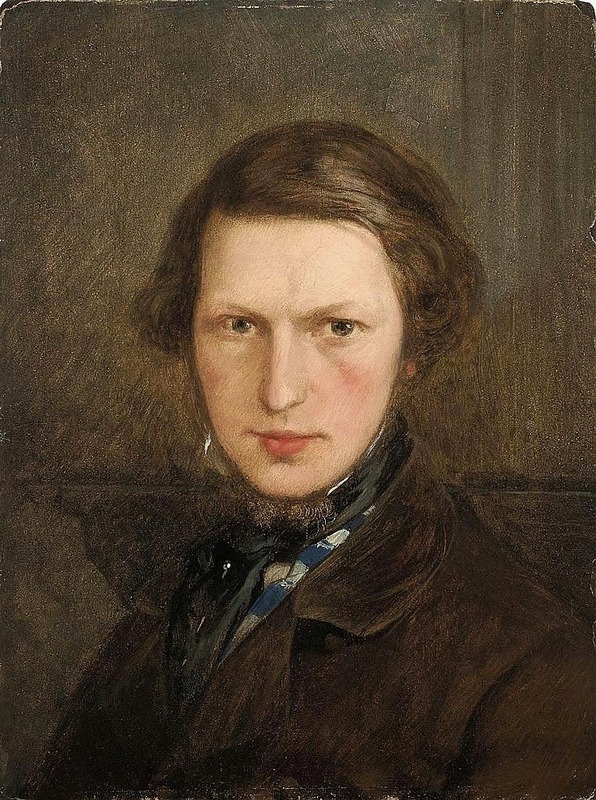 He was a close friend of the landscape artist Henry Mark Anthony. 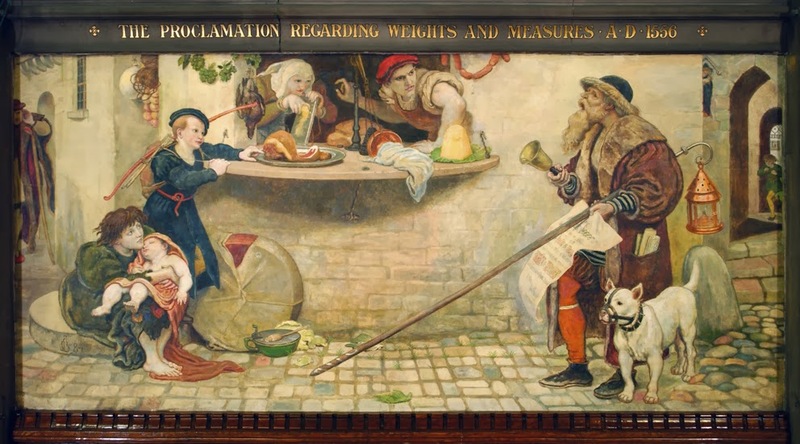 Brown was also the main organiser of the Hogarth Club, a short lived replacement for the PRB which existed between 1858 and 1861. 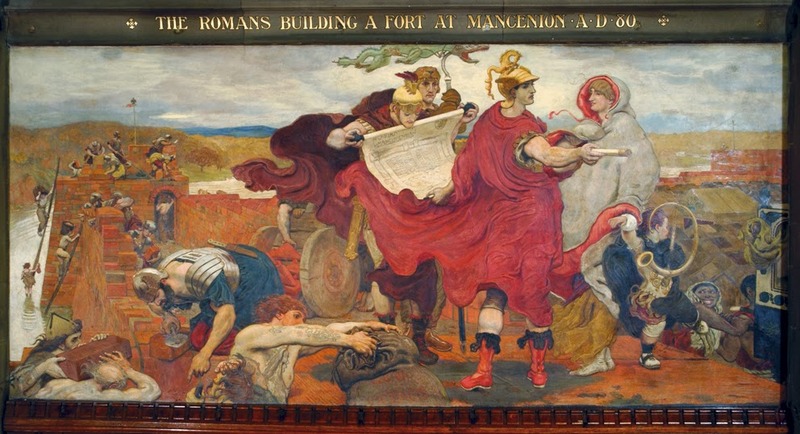 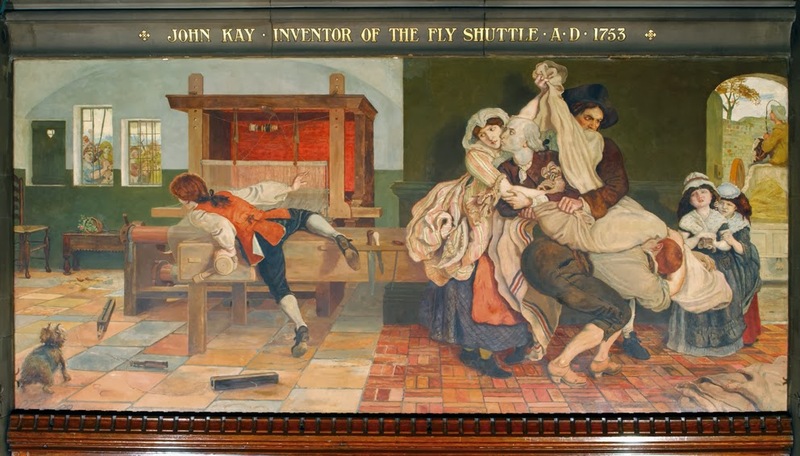 Brown's major achievement after Work was "The Manchester Murals", a cycle of twelve paintings in the Great Hall of Manchester Town Hall depicting the history of the city. 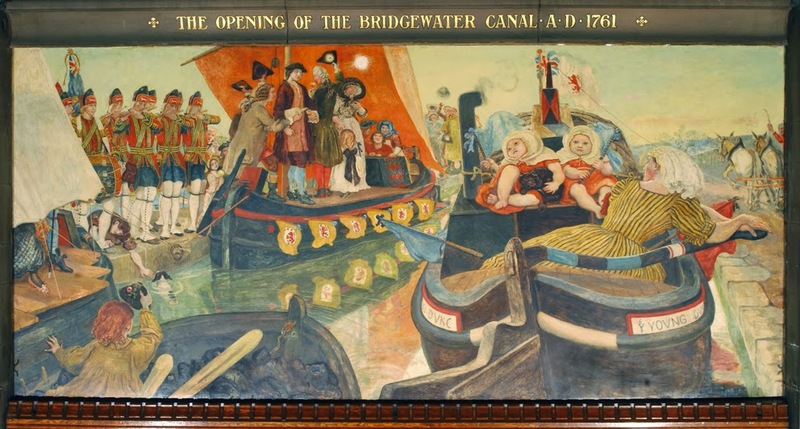 Brown would be 72 by the time he finished the murals. 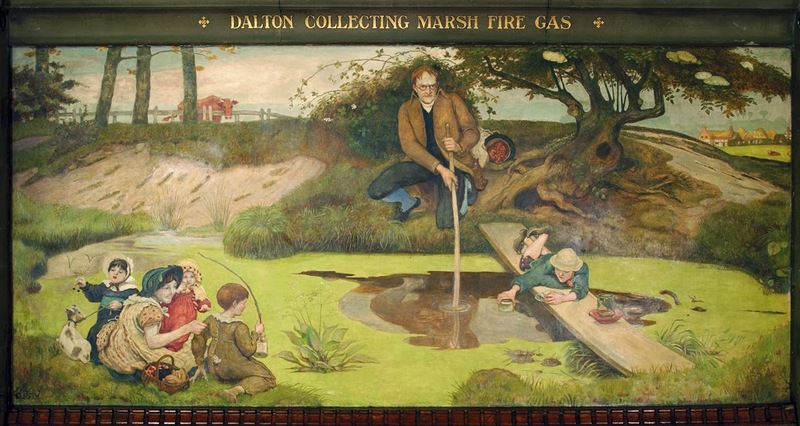 In total, he took six years perfecting the murals which were his last major work. His best-known picture, The Last of England - City Art Gallery, Birmingham, 1855 - was inspired by the departure of Woolner, the Pre-Raphaelite sculptor, for Australia. 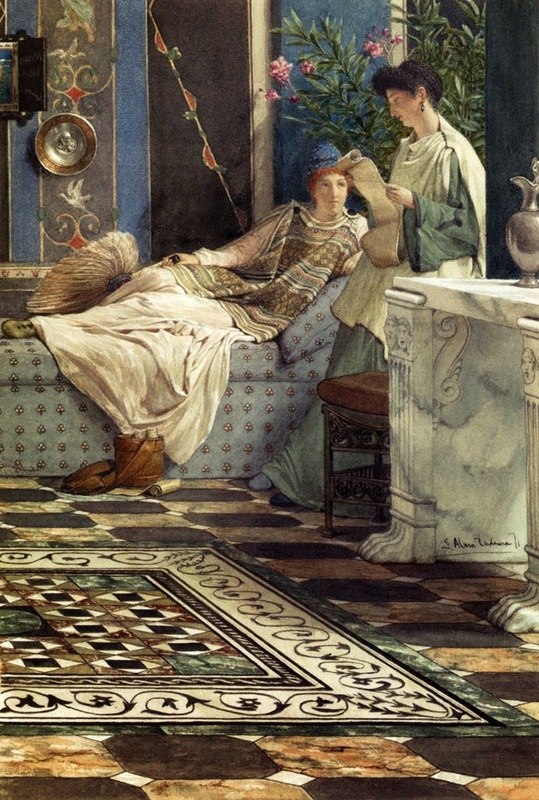 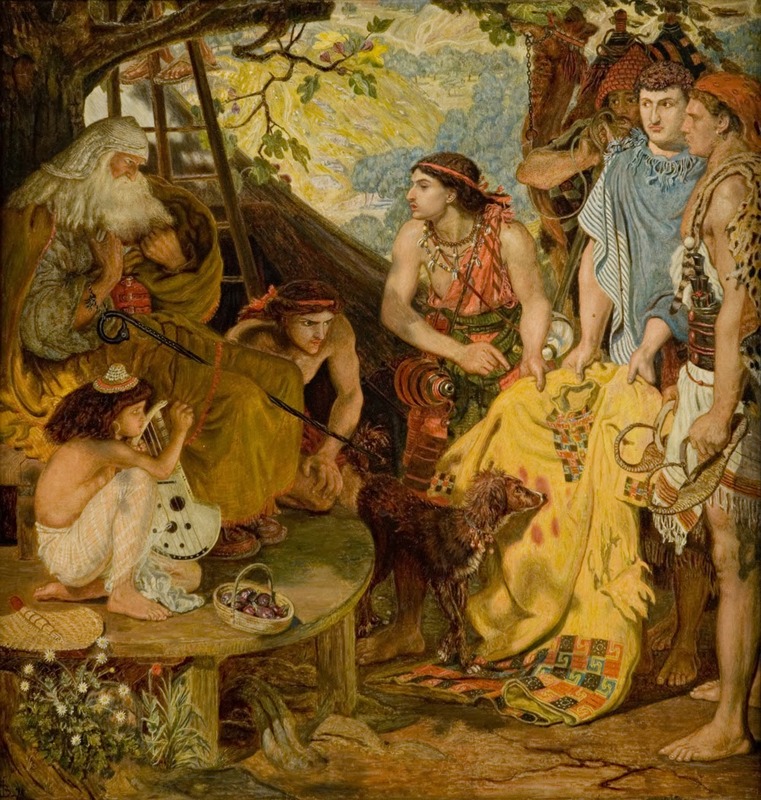 The other famous anthology piece that Brown painted, Work (Manchester City Art Gallery, 1852-63), shows his dedicated craftsmanship and brilliant coloring, but is somewhat swamped by its social idealism. 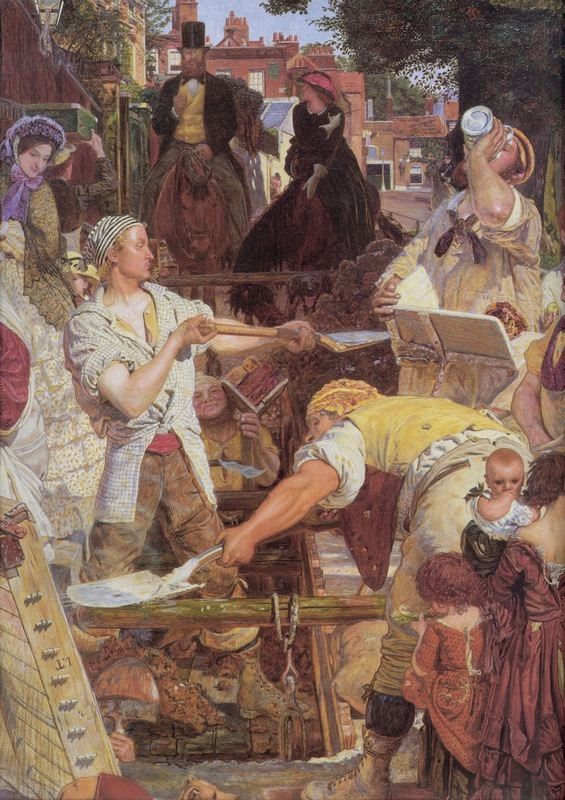 In 1861 Brown was a founder member of William Morris's company, for which he designed stained glass and furniture. 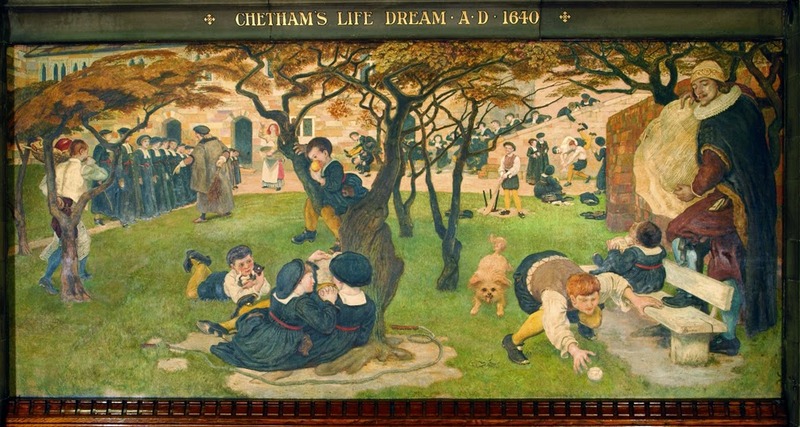 The major work of the later part of his career is a cycle of paintings (1878-93) in Manchester Town Hall on the history of the city. 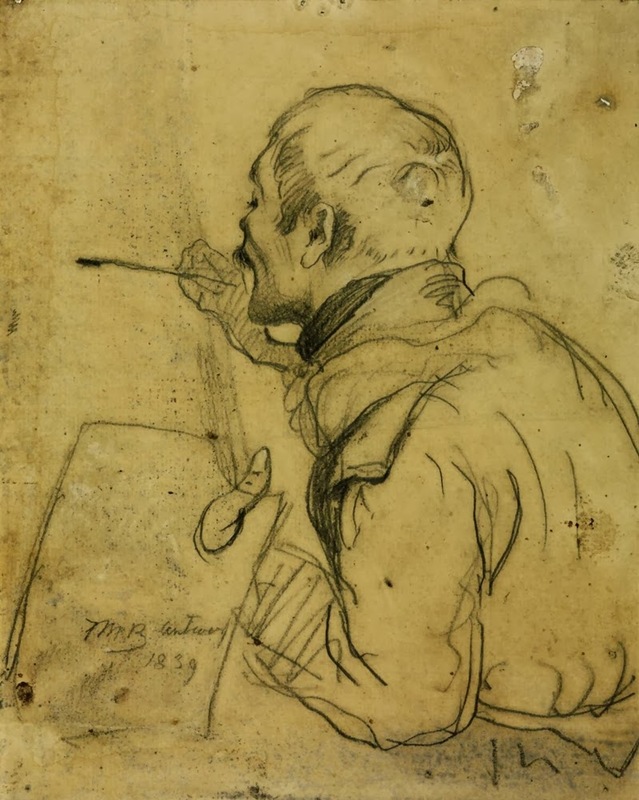 Brown was an individualist and a man of prickly temperament; he opposed the Royal Academy and was a pioneer of the one-man show.